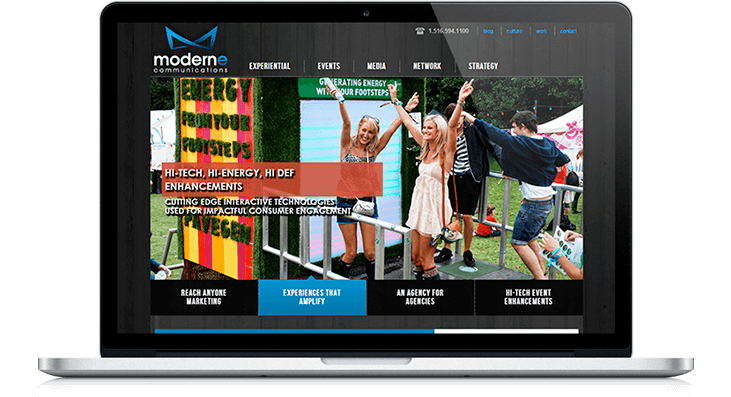 As a Non-Traditional Marketing Agency, Moderne Communications creates unique brand experiences to get the right message to the right people at the right place and time. They wanted the website to generate new leads by providing a variety of methods for visitor engagement including premium content promotion, landing pages, web forms, blog articles, social media sharing, etc. Moderne Communications successfully reduced website content clutter and introducing a more polished and professional website presence with a new design. They are able to collect and track user data to better understand and market to target audience members.